WordPress is the most flexible and powerful open-source content management system that is growing popularity among people worldwide. If, you want that the migration to this robust platform remain unnoticed by your customers. Then, establish a test site somewhere on a new domain and install WordPress on it. We have put together some tips and techniques, forming a complete guide that will help you in performing migration. You need to have a new domain, so that you can set up WordPress in any various sub directories. Once the domain is being established, you can start importing the content and get it all set, while the previously website is working normally. You can take the help of plug-ins to import the entire installation data including system file and database to the existing domain. You may do it manually or employ database management plug-in to import the data from the test site. The URL structure of your existing website is usually different from the WordPress Permalink structure. You need to create a permanent (3010) re-directs from previous pages to the new pages, eliminating the hassle of getting 404 ‘page not found’ error. It becomes a bit cumbersome, if you have a bid website with hundreds of pages. It is good to use Redirection plug-in for this purpose, if you feel comfortable working with it. You can map your previous URL to the new permalink through Redirection plug-in interface, which is user-friendly. 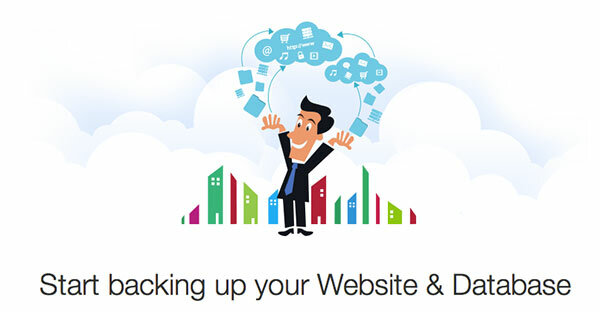 It is imperative to take the back up of your existing website to avoid any migration risks. This is because, if anything gets deleted or removed after the transfer, you can restore the site immediately and make the required changes to set the WordPress site offline. Do not forget to reset the on-site SEO tags including keywords, titles and descriptions after setting up the content on the WordPress site. If your website employs database to store the page content then, write an SQL query to import the pages directly to WordPress. Otherwise, copy and paste original content and set meta tags manually for each page. Check all the imported pages carefully as some formatting may get screwed up. Download and install a fresh WordPress website. Make sure that both websites are running. Back up your content from both the websites to avoid any information loss. Choose any of the migration ways that best suits your needs. Be it manual migration, migration using plug-in, script, online services or any other. Although manual migration does not require any much money to be spent, but it is quite a tedious job as there is a risks of data loss and confusion. You may even use script for exporting data. This will work only if you have enough knowledge of coding and know how to handle the process. Export data from the database table and import it to the new site. You can hire WordPress developer for assisted migration. WordPress migration service takes good care of your specific requirements and save your time and money. If you still face any issue, research for the migration services available online at affordable prices. This eliminates all the hassle of searching for the appropriate software, plug-ins and saves your time and efforts. Test your website for the imported data and its accuracy, once the migration is finished. If you feel that your website is no more interesting or lacking advanced features and functionalities. No need to worry anymore as it is possible to enhance your website without spending much time and money on it. Migrating Your Website to WordPress is the best way to attain a fully-functional online portal. Next: Shall I Upgrade to iOS 7 or Shall I Stick to iOS 6?